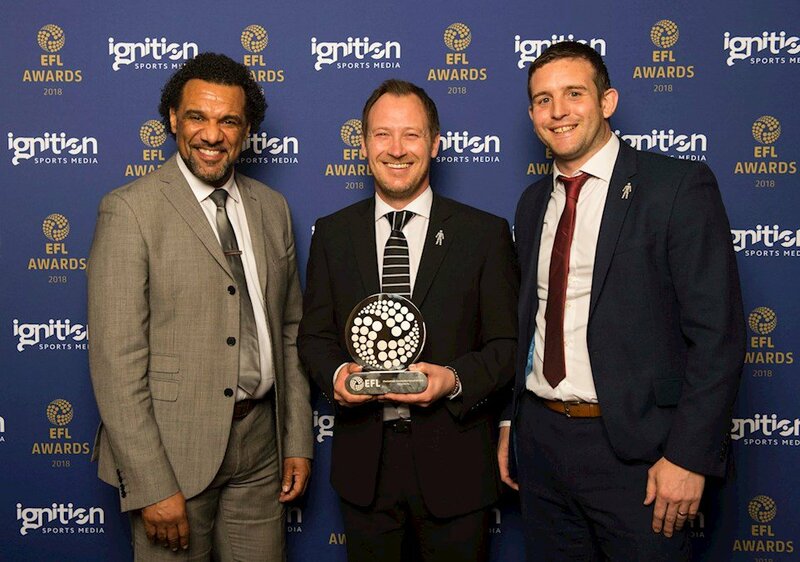 Derby County Community Trust have told ConnectSport of their "pure joy" after being named Checkatrade Community Club of the Year by the EFL for a second time. In March, the Rams were crowned Midlands regional winners for their showcase project, Rams in Kenya, which has boosted education, development and sustainability for hundreds of children at St Trizah, Ungana and Jubilee school in Nakuru, Kenya. Progressing to the national awards, the work of each Community Trust at the six competing regional winners – Derby, Blackburn Rovers, Charlton Athletic, Portsmouth, Middlesbrough and Bristol City – was assessed and compared, with Derby announced as winners at last Sunday's ceremony in central London. "It's our 10th year as a Community Trust so it's almost poetic that we won it this year. We're all absolutely delighted," Derby County Community Trust's Community Manager Paul Newman told ConnectSport. "We were up against colleagues from other clubs' trusts who we regard as friends and we'd have been equally pleased for them if they had won. It's testament to all our staff here who run our different projects, as well as our partners and the support we get from the club itself." The Trust has sent 300 volunteers to Africa over the past seven years as part of its Rams in Kenya project. Another 71 are flying out in May to continue projects to improve teaching standards, modernise facilities and increase sustainability at schools in the country. "We've made close friends over there; it's incredibly rewarding. It's just one of over 40 projects we run here and we're incredibly proud of all of them," Newman added. The Trust invested £1.7million into its local community in 2017, reaching over 17,000 participants on projects including teaching young children about healthy eating, cancer services, support for substance misuse, degree programmes and helping to reduce the risk of falling with older people. Simon Carnall, Derby's Head of Community, said: "As organisations, we're often so busy 'doing' that you can lose sight of the real impact you're having. It's only when you look at the breadth and depth of the work of those six regional winners, plus the other 66 Trusts that make up the 72 in the EFL, that you realise the sheer scale of it. "Fundamentally the heart of everything we do is improving people's lives, having a local impact and driving positive change within the communities we serve. The whole Community Trust network is huge and we're really proud to be a part of it."